Mitchell Norstrom’s blog post presents a concise but meaningful overview of recent events in Saudi Arabia that is both informative and thought-provoking. His careful research into the history and context of the country gives us an excellent foundation for evaluating the events of the Arab Spring and their significance for Saudi Arabia and for the world. I commend Mitchell for the quality of the writing, the detailed research, and strategic choice of images to illustrate his blog. This blog is an excellent example of a highly skillful blending of information and analysis, and demonstrates an outstanding example of work at the first year level. 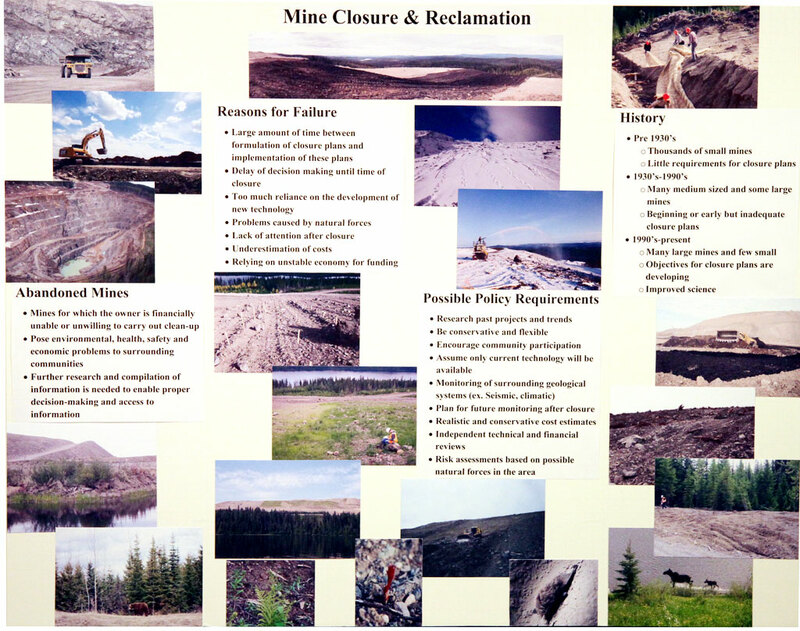 This poster discusses mine closure and reclamation problems in Canada. It demonstrates a clean, easy to read layout and an almost perfect balance between text and images. 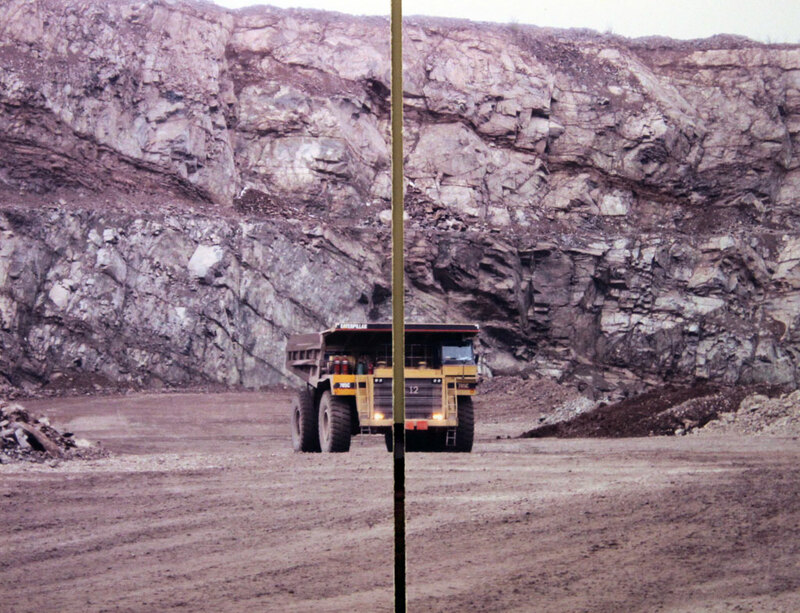 Backed up with extensive research and original photographs that help to tell the story, this poster focuses on a hidden environmental problem that requires a great deal more attention from environmental policy makers in Canada. Heather Frye has used her personal experience to help explain the problem, analyze the reasons for failure, and suggest new directions for policies. Her poster is well-informed and interesting, conveying information in a concise and effective way. Heather’s poster has earned Silver. 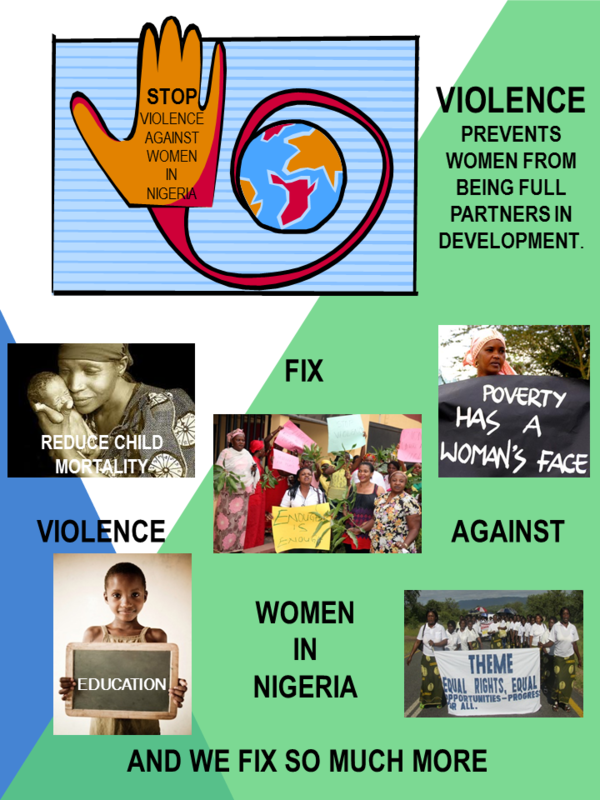 Samantha Mitchell’s poster draws the attention of the reader into the problems of Nigerian women and conveys the message in a direct yet nuanced way. It demonstrates attention to layout and maintains the interest of the viewer by incorporating the message and images in a coherent way. The viewer recognizes the need for action and can understand the complexity of the problems immediately. Sam’s poster is eye-catching and concise, and so she has earned Bronze.